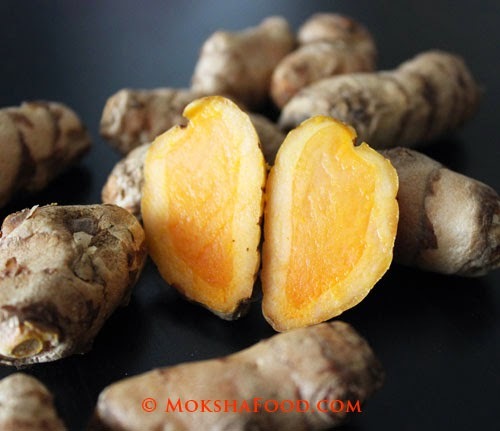 Turmeric maybe a new super food in the West but its been the star of Indian kitchens since ancient times. 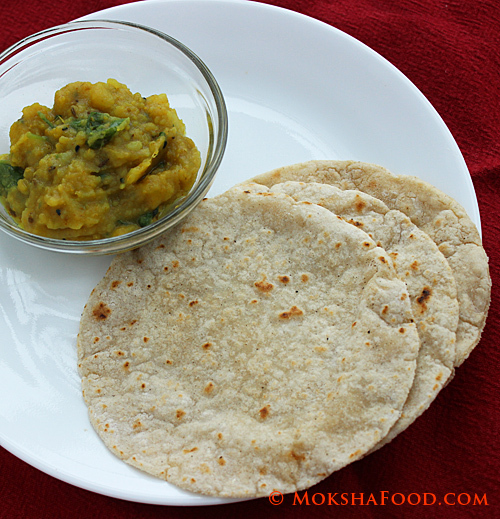 It is indiscriminately added to every lentil, vegetable, seafood or meat dish prepared. 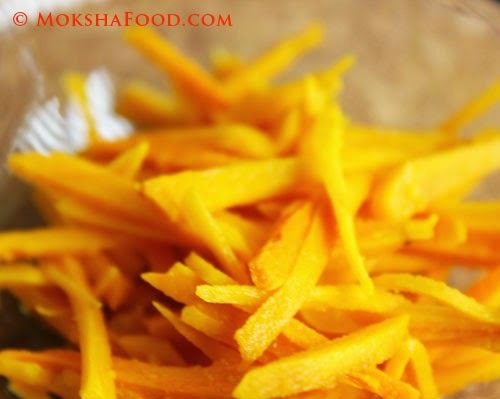 In fact the only time we spare its usage is when we consciously need the ingredient to retain its color or avoid the flavor of turmeric as in the preparations of sweets. Turmeric also has a significant place in Hindu spiritual rituals. During weddings, we have a pre wedding ceremony called Haldi, wherein the bride and groom are smeared with turmeric paste by family and friends. It is believed to improve the skin and bring out the glow. The priest also ties a piece of dried turmeric to the wrist of the bride and groom as part of the wedding rituals. Like every Indian home, I always have a bottle of ground turmeric powder. But just recently I was introduced to fresh turmeric. Fresh turmeric rhizome looks very similar to a fresh ginger, only much smaller and unbranched. When sliced, it shows off a beautiful orange hue. 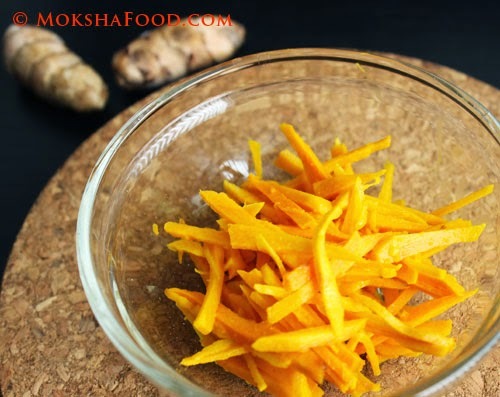 The taste of fresh turmeric is much more milder and more fragrant than the powdered form. Turmeric plant leaves are also very fragrant and are used to prepare a special sweet dish called Patoleo prepared during the shravan month in my hometown Goa. It is made by layering rice flour dough on the leaf and stuffing it with coconut-jaggery mixture, and then closing and steaming it in a special copper steamer. Turmeric's healing properties have been handed down through generation in every Indian home. Every cut in the kitchen is treated with a slab of turmeric paste. 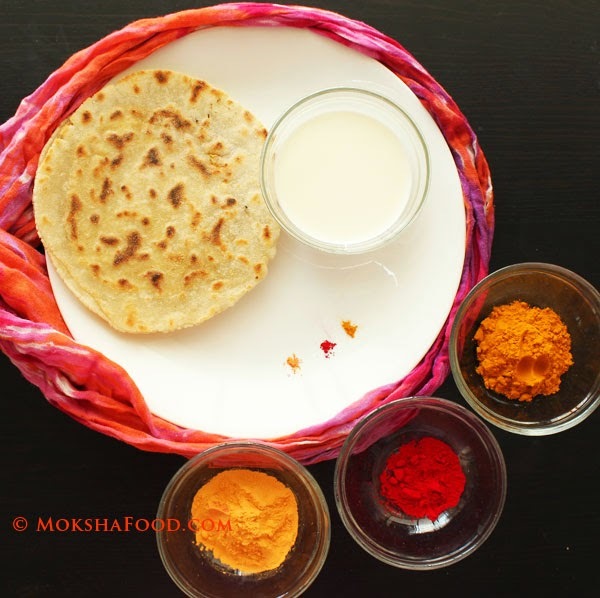 Every cold is nursed by a warm glass of haldi doodh, that is turmeric flavored milk. I have personally experienced significant relief from my gastro infections by regularly consuming fresh turmeric pickle. I always have this pickle on hand and consume a small amount with every meal. It adds a nice crunch and added flavor to my meal. This pickle unlike most Indian pickles is not immersed in oil, making it an healthier alternative. But it also doesn't have a longer shelf life. I always make small quantities and keep mine refrigerated and consume within 2-3 weeks. You can additionally flavor it with peppercorns or mustard seeds. Wash the roots and gently scrape off the outer layer. Add salt and lime juice and mix well. Keep the mixture refrigerated for a day or two before using it. Note: The fresh root will stain your fingers, nails and chopping board. The color usually comes of in 2-3 days. If that bothers you, use gloves and plastic sheets to protect your hands and board. Emotions of a Child with allergies! 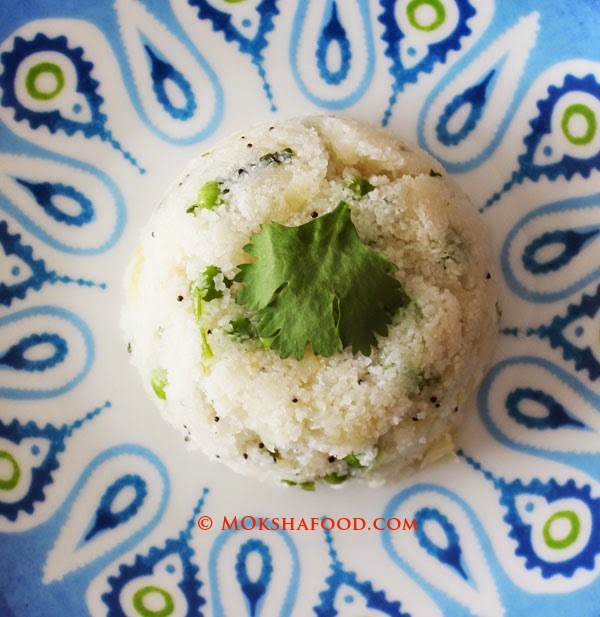 Shrikhand - Gluten Free Puri !